Personnel - Nik Bartsch: piano; Sha: bass clarinet, alto saxophone; Thomy Jordi: bass; Kaspar Rast: drums. Swiss pianist-composer Nik Bartsch has been tracing a unique musical path with a persistent hybridization and idiosyncrasy of projects such as Mobile and Ronin. His new ECM album, Awase, features the latter band, a fascinating quartet formed in 2001, whose current members include Sha on bass clarinet and alto saxophone, Thomy Jordi on bass, and Kaspar Rast on drums. Each musician captures the essence of the composer’s gift for texture, which is usually bolstered by juxtaposing exquisite lines in the form of ostinatos. The opening tune, “Modul 60”, follows the minimalist concept of layering simple melodic ideas by subjecting them to a broader dimension of interplay. Treading on the heels of a surreptitious piano introduction, where a half-step descendant interval prevails and recycles itself, Sha’s saxophone dreams and floats with sheer beauty. He reiterates the dose on his own composition “A”, which consists of a friendly lullaby-ish melody turned into an additive (3+4) tempo ostinato. With an impressive simplicity in the processes, the band incurs into a variation whose recalcitrant piano notes make us think of electronic music as an inspirational source. Bartsch’s cerebral moods are all about form and texture and that is well patented on compositions such as “Modul 36”, where arpeggiated piano with sporadic pointillism work together with the mobility of the electric bass to create beautiful moments. Jordi then rebels and sets up a funk-inflected manifesto armed with piano’s sinuous melodic exclamations and extended techniques. “Modul 34” also boasts a cool funky pose launched after a serene preparatory passage. Whenever Rast exhibits his dry drum fills, he announces nuanced mutations in the intensity of the groove delivered in six. The 18-minute “Modul 58” can be seen as a sum of all the other pieces. It starts with slowly built piano layers enlivened by occasional bass harmonics and pumps, delicate cymbal splashes, and non-intrusive sax embellishments. Obstinate high-pitched notes on the piano drive us into a hypnotic rhythm that feels half-rock, half-electronic. Afterward, the quartet goes through a percussive phase enriched by saxophone pop sounds and air notes, muted pianism, and hi-hat delineations. It all ends up in a danceable acid jazz-funk hooked up in the fine rhythmic counterpoint between sax and piano. Terminating the session, the four slow down on the atmospheric, picturesque “Modul 59”, but only until a titillating groove is installed, quickly becoming impregnated with repetitive figures. 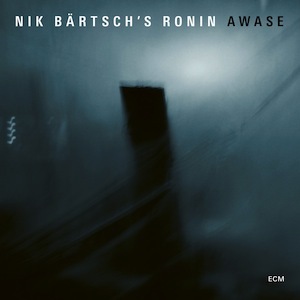 Bartsch’s Awase might feel easy on the ear, but, taking into account its level of musical thoroughness, is certainly an arduous work to execute. Don’t expect improvised moments in the way they are commonly associated with jazz. This is a totally different approach, where the bandleader distills contemporary musical luster with sure-footed ritualistic grooves.